Imagine driving a car with no speedometer, fuel gauge or odometer. It would be like driving with no direction, right? Running a business without a clear picture of how things are going or what you need to do next sounds exactly like driving with no direction. You can keep your foot on the accelerator and it will surely keep your car moving forward, but without a glance at your speedometer, fuel gauge or odometer you’ll never know how fast you’re going or how far you’ve driven. By starting 2018 with our foot on the pedal, we’d like to introduce our own speedometer, fuel gauge and odometer – the Deputy Dashboard. While you’re in the driver’s seat, we’ll help you keep your car on the road and in the right lane. Deputy’s dashboard will keep you in control – we’ll show you what needs your attention, what needs your approval and what’s happening, all from one page. So you can keep your car moving, it’s essential you keep an eye on your fuel gauge. While it’s not something that may need your immediate action, it’s important to keep an eye on it. Our new ‘Needs Attention’ section will do just that. 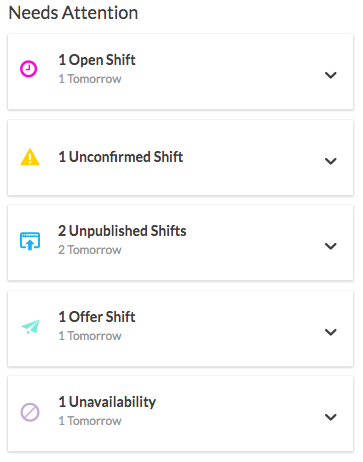 With cards for shifts that remain unfilled, scheduled shifts that remain unpublished and new submissions of unavailability from staff, we’ll help you stop things from slipping through the cracks. 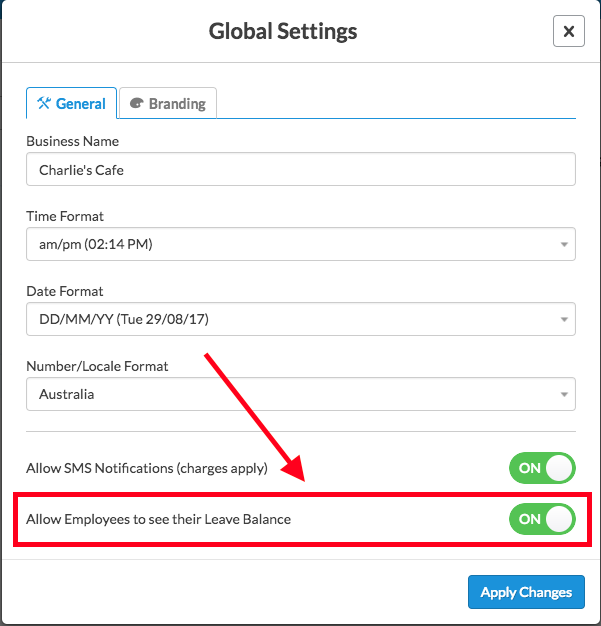 This section will ensure that you’re informed of all activity that could affect the day to day operations of your business. Stay informed by keeping a tab on what needs your attention! No matter where you’re driving, it’s crucial you watch how fast (or slow) you’re driving. To avoid any bumps along the road, you’ll need to monitor and address your speed at every traffic light and every turn. 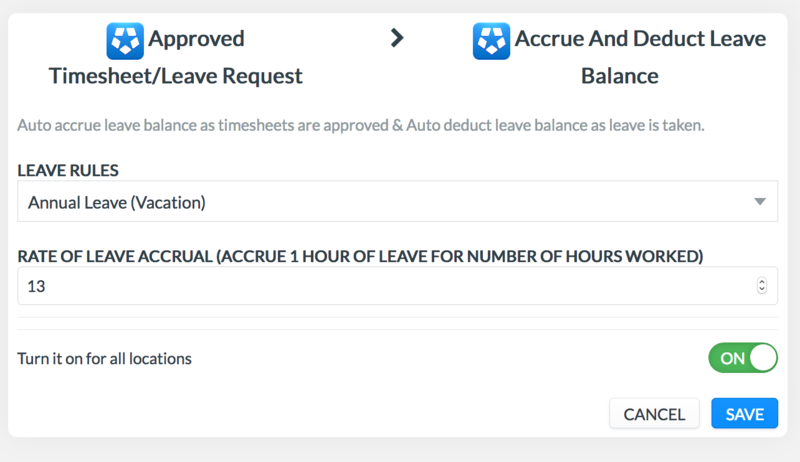 In the same essence, our Needs Approval section will bring your attention to the pending actions that help keep your business running smoothly. In one place, we’ll tell you exactly what you need to do next. 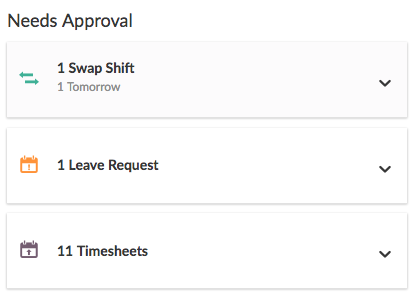 Whether it be time sheets or shift swap requests that need your approval, you’ll save time as you won’t need to search through Deputy for what to do next. Our new dashboard will bring that to you! 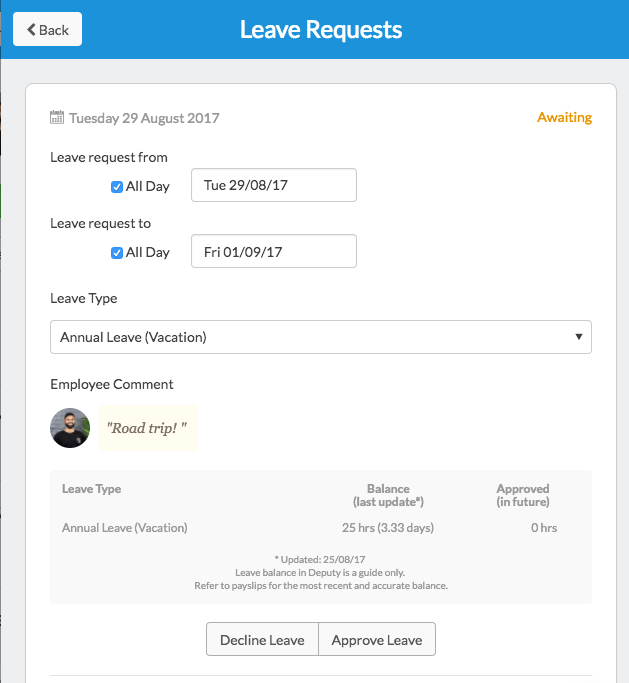 For example, for employee leave requests we’ll show you exactly who and when your staff are requesting taking time off, and with a click we’ll take you directly to the leave request for your approval. 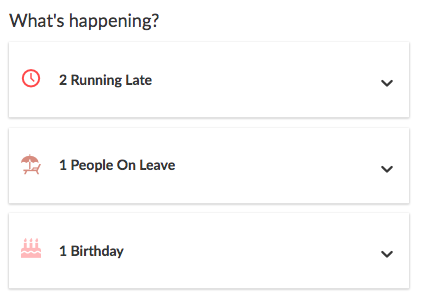 As your odometer tells you how you’re travelling for the day, similarly, our new ‘What’s happening?’ section will help you do just that – get you up to speed of what’s going on, on the day. 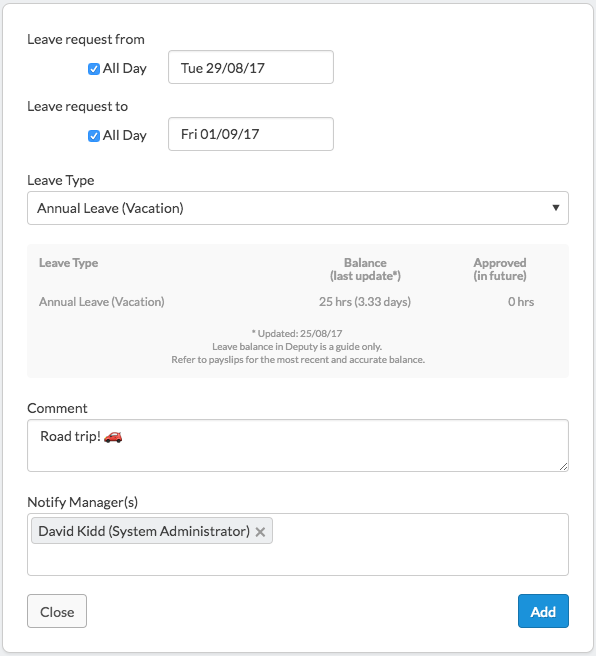 With cards for who’s away on holiday and who’s birthday it is today, you and your team can plan ahead and ensure your day runs steadily. Forget being blindsided, we’ll help you keep your eyes on the road ahead! With a quick glance at your new dashboard, Deputy will ensure your business doesn’t run into any bumps along the road. All our cards are designed to keep you on top of things by displaying what needs your attention, what needs your approval and what’s happening. At Deputy, we’re focused on saving you time and we know a central place for all your pending actions will free up your schedule. We’d love to hear from you what cards help you the most and what new cards you’d like to see on your dashboard in the future. Take our Dashboard for a drive and let us know what you think! The post Introducing Deputy’s New Dashboard appeared first on Deputy.